Perfectly Simple! 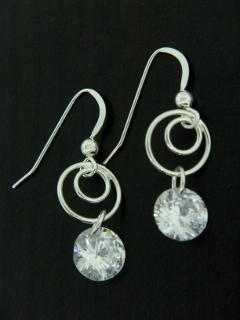 With interlocking circle design adorned with genuine round Cubic Zirconia in clear hue. This collection is modern with the right touch of famine flair!